Places to go and see in Cascade-Siskiyou National Monument: Pilot Rock, Hobart Bluff, Hyatt Lake and Soda Mountain Wilderness Area. Pilot Rock, a striking landscape feature of the Cascade-Siskiyou National Monument serves as a beacon to some five million vehicles that travel I-5 annually. The remnant of an ancient volcano, Pilot Rock is visible from much of the Shasta Valley in northern California and parts the Rogue Valley in Southern Oregon. View Pilot Rock Hike Trail Map. Hobart Bluff provides stunning 360-degree views of the Rogue Valley. On most days the snow-capped Mount Shasta can be seen, located 75 miles away in northern California. The Monument’s converging ecoregions and the resulting plant diversity are on full display along the 1.5-mile hike up to Hobart Bluff. You'll find common trees such as white fir, incense cedar, as well as plants more commonly seen in the deserts of the Great Basin such as sagebrush and western junipers. Hyatt Lake Campground is the only developed campground in the Cascade-Siskiyou National Monument. 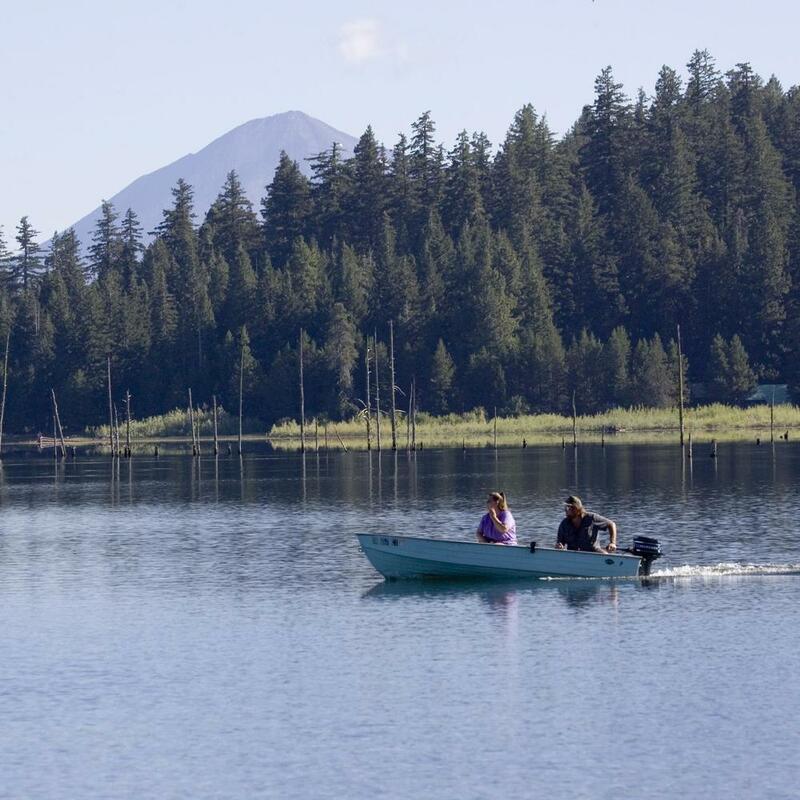 Nestled in the Cascade Mountains in the northern corner of the monument, Hyatt Lake Campground provides opportunities for camping, hiking, fishing, and boating. Boating speed is restricted to wakeless. There are 70 campsites, as well as restrooms and shower facilities. Make a reservation for campsite. Soda Mountain Wilderness contains 24,100 acres including Pilot Rock and the Scotch Creek and Oregon Gulch Research Natural Areas. To keep the wilderness wild, mechanized activities are prohibited. Bounded by Pilot Rock on the west and the Box O Ranch along Jenny Creek to the east, the SMW invites backcountry exploration by prepared sojourners. The Cascade-Siskiyou National Monument is one of our National Conservation Lands. These are our most ecologically rich and culturally significant of lands managed by the Bureau of Land Management. City of Ashland, Oregon has many hotels, bed and breakfasts, and campgrounds. Ashland is the home of Oregon Shakespeare Festival. Food and lodging are also available at various places closer to and within the Monument.